The magic of live theater continues to mesmerize audiences—from large to small—across the Region. Whether it’s in a more intimate venue or in an almost 100-year-old historic landmark, community members are falling under the spell of stages filled with music, comedy or drama. And no two show experiences are the same, she said. Performances may vary slightly each night based on an audience’s reaction. Industry leaders are helping preserve what theater is all about by creating strong community connections and unique events and programs. They also spark conversations on timely topics. At the Morris Performing Arts Center in South Bend, guests are greeted by an almost 100-year-old building. It was renovated in the late 1990s. The stage was expanded, and theater capacity grew to more than 2,500 seats. Listed on the National Register of Historic Places, the Morris had a record 102 events in 2018 and is expected to have 115 events this year. While the theater has had a significant economic impact on the city, Jarnecke feels the theater’s longevity and impact are rooted in its effects on the more than 100,000 guests who grace the seats each season. Jarnecke said, because of that, it is important to his organization to offer a variety of artists, genres, performances and experiences that speak to all cultures and people. “Our sole measure of success cannot be attendance, but rather if we helped create an environment where our residents and culture can thrive,” he said. Jarnecke said he is driven by the Morris’ legacy and the passion of its audiences. He said he wants the next 100 years to be even better than the first. “The Morris can be a sense of identity, a catalyst for change and an incubator for celebration of all that is positive for our community,” Jarnecke said. 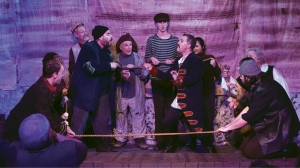 With strong roots as a volunteer-led theater group, Chicago Street Theatre in Valparaiso has taken a more professional turn since the early 2000s. It added a managing director and part-time box office manager. “It’s no longer a volunteer sitting with a card table and cash box taking tickets—now that we have professionalized to the point that people can order tickets online,” said Eric Brant, director of marketing at CST. 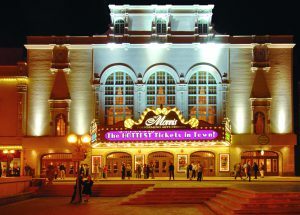 The group has grown from sharing a stage at the Memorial Opera House for four decades to having its own building beginning in 2008. Today, the 130-seat theater continues to offer an intimate environment for a variety of shows in its 65th season. Brant said the crew strives to follow a formula of sorts when putting together a season of shows. The goal is to entertain and engage longtime subscribers while cultivating new audiences. 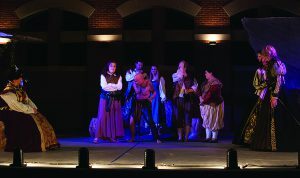 They also offer a comedy and drama show, as well as the Shakespeare in the Park series during the summer. That last one brings a classic to life outside at Central Park Plaza in downtown Valparaiso. Educational opportunities also are available for adults and children. Brant himself has been involved with CST since his high school days and sees CST continuing to flourish. Heading into its 30th year, Theatre at the Center in Munster brings access to Chicago-style theater but in a more up-close-and-personal setting. Fortunato said, as a professional theater, TATC is a platform for Region residents to enjoy a show, concert or musical without having to travel to downtown Chicago. “We are able to bridge the gap as a lot of our actors, designers, directors and crew have also worked at the big theaters in Chicago,” she said. “But how our theater is laid out, it is a very intimate experience. With the Star Plaza venue’s closing, TATC has expanded its reach by adding concert and comedy offerings. At 4th Street Theater in downtown Chesterton, first-row guests can literally put their feet on the stage and that is what makes it great, said Angela Heid, the group’s president. The group has been specializing in smaller shows since landing at its current location in the late 1990s. Part of connecting to the community for the 4th Street Theater team is to offer an outlet for artistic individuals as well as a place for children on the autism spectrum to experience live theater. Heid says the crew participates in a 10-minute play festival where anyone can submit a show that hasn’t been done anywhere else. Heid said the event for children is led by a specially-trained group from Chicago. Aaron Nichols, executive director of the South Bend Civic Theatre, said part of what keeps local theaters going is the drive to support all things local. “I think there is a resurgent desire to support local, whether it be food, business or entertainment,” he said. “I think that our patrons value our commitment to enriching and creating community. Nichols said his team also has listened to its community members and recently added two programs. Showtime Child Care is free child-care services during Wednesday-night performances. The Pay-What-You-Can Previews allow patrons to attend a pre-opening night show at an amount that fits their needs. Nostalgia might have been at the base of community theater success in the past, but Nichols said now it’s something more. 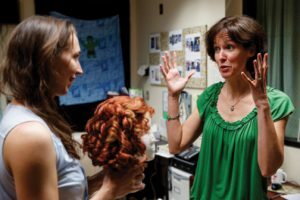 Nichols said theater education programs are sparking curiosity, nurturing civility and creating connections in a world where these interactions are becoming rare. For Nichols, telling stories for a living is part of why he embraces the theater world.